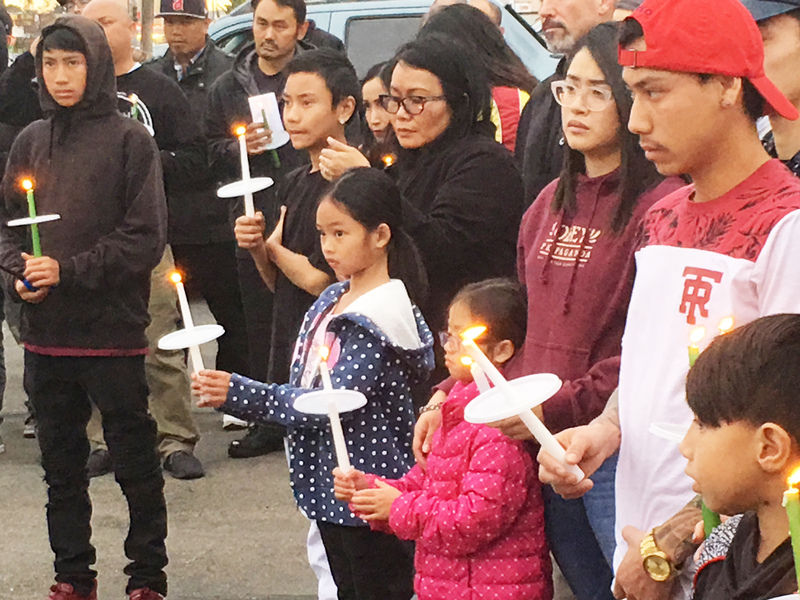 A twilight vigil was held Tuesday for the four persons – two adults and two small children ­– whose bodies were found in a van parked in a shopping center parking lot in Garden Grove on March 16. The event was organized by the Garden Grove Neighborhood Association and the candlelight ceremony (see above) featured prayers, remarks from representatives of the Garden Grove Police Department, and Mayor Steve Jones. Councilwoman Stephanie Klopfenstein served as master of ceremonies. 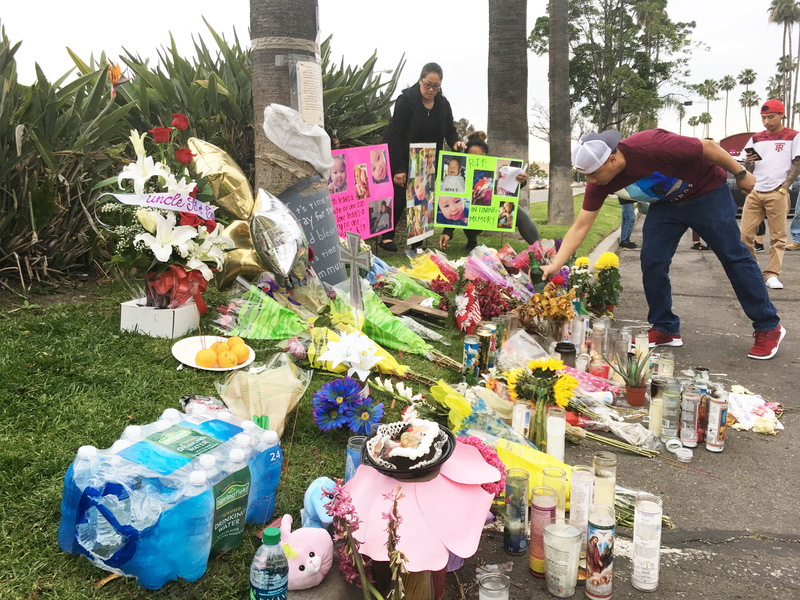 The vigil was held at the location where the van was found parked in the lot near a CVS drug store at Brookhurst Street and Chapman Avenue. A crowd of about 100 gathered there next to an informal shrine (at left) decorated with candles, flowers, photos and written farewells and remembrances. 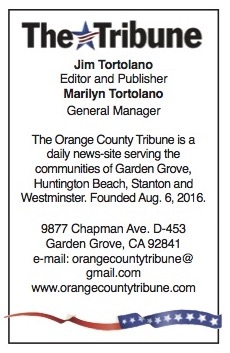 For more about the March 16 incident, go to https://orangecountytribune.com/2018/03/16/four-bodies-found-in-parked-van/ .